LONDON — A renowned British novelist with virulently anti-Semitic views may soon be on the path to sainthood. 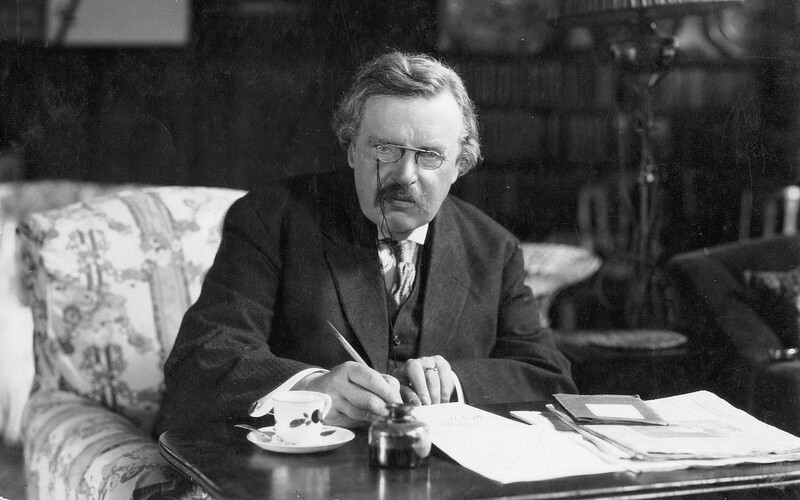 G.K. Chesterton, a journalist, author and dramatist whose works remain popular in the UK more than 80 years after his death, is the subject of an initial investigation by the Catholic church which will be published next month. Commissioned in 2013 by the Bishop of Northampton, Peter Doyle, the report is the first step in the process of canonization. The move is likely to prove highly controversial. Chesterton advocated Jews in public life being forced to wear distinctive clothes and littered his works with anti-Semitic tropes. 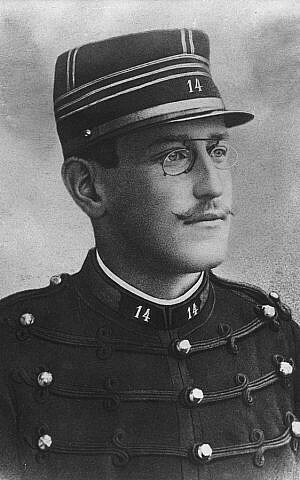 He also continued to contest the innocence of Alfred Dreyfus, the French officer infamously at the center of an anti-Semitic miscarriage of justice in 1894. According to the Daily Telegraph, the report is expected to suggest that infertile couples pray to Chesterton to ask for “miracle conceptions.” The Vatican demands evidence that those considered for sainthood must have been responsible for at least two miracles. He is best known for the fictional crime-solving priest, Father Brown, who features in 53 of his short stories. The BBC has recently screened the sixth season of a popular drama starring the cassock-wearing sleuth. It has become a global hit, sold by the UK’s public service broadcaster to the US, Scandinavia, Australia and Germany. Pope Francis is believed to be an admirer of Chesterton, who converted to Catholicism in 1922. As Archbishop of Buenos Aires, the Pontiff supported a conference on the writer in the Argentine capital. Once the report is published, the Bishop of Northampton, one of 30 senior Catholic churchmen in Britain, will decide whether to ask the Vatican to open a formal inquiry or “cause” into whether Chesterton should be considered for sainthood. Canon John Udris, the priest tasked by Doyle with examining Chesterton’s credentials, has made clear his sympathies. The writer was potentially a “huge model” for the Church who “breaks the mold for conventional holiness,” he told the Catholic Herald newspaper. But when news of Doyle’s decision to commission a report was first announced in 2013 it sparked anger among some British Jews. In his book “The Jews of Britain 1656 to 2000,” historian Todd Edelman has also implicated Chesterton in the “stream of crude anti-Semitism” which was unleashed at leading politicians during the 1912 Marconi scandal. Some of the members of the Liberal cabinet who were accused of improperly profiting from information about forthcoming government contracts were Jewish. a kangaroo court in late 19th century France. Chesterton repeatedly advanced the notion that British Jews were disloyal to their country. At the end of World War I, he wrote to the Lord Chief Justice of England, Rufus Isaacs (then Viscount Reading), suggesting that he should not be involved in peace talks with Germany. 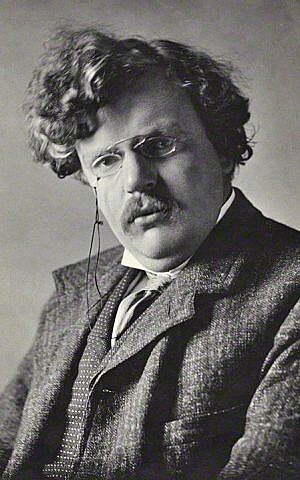 “Is there any man who doubts that you will be sympathetic with the Jewish International,” Chesterton asked. Three years later, Chesterton’s book, “The New Jerusalem,” advocated that Jews should be allowed to hold high office but should wear Oriental dress. “The point is that we should know where we are; and he would know where he is, which is in a foreign land,” he wrote. Chesterton’s canonization has also been opposed by some prominent Catholic voices in Britain. Udris’s report is believed to have found that infertile couples are praying to Chesterton. “Very interestingly, I have noticed people saying that they are praying for him,” he told the Telegraph. “Because they didn’t have any children, Frances and Gilbert [Chesterton], so they are finding him as a bit of a go-to person, if for example a couple is infertile and looking to have a child. “[Miracles] will be, if the cause is opened, down the line, what will people be looking for. And of course, people have already been feeding back,” Udris said. The initial push for Chesterton to be considered for sainthood came from the American Chesterton Society. “I think he is very much a saint for our time and could draw many people into the Catholic Church,” suggested the president of the society, Dale Ahlquist, in 2013. He cited the fact that Chesterton’s writings had brought people to the Catholic faith. Canonization, which can take decades to complete, takes place in several stages, with individuals normally be granted “venerable” then “blessed” status before being made saints.